Since 2012 Outward Bound India Himalaya has been running an internship program, taking recently graduated or gap year students in outdoor leadership and teaching them how to put theory into practice both in the office and field. They get to run through all facets of the operation from planning, marketing, researching and formulating innovative programs. Interns get to learn, understand and grow by exchanging and implementing new ideas and theories brought forward from their recent study programmes. Ben has taken a year out of his university degree in outdoor leadership at Uclan, to allow him to put the theories learnt into practice with the help of OBH. 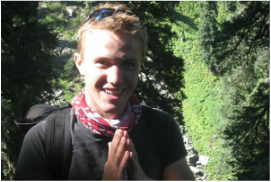 With his passion for the mountains and his active involvement in the scouting movement back in England, he has been able to transfer and develop his skills in facilitation, organisation and the design of the programs. 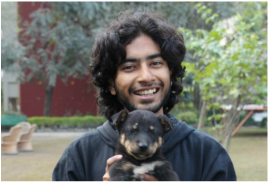 Our first Indian Intern, Ananddev is a musician from Delhi who went on Outward Bound Himalaya programs when he was in 8th and 9th grade. Ananddev as a nature enthusiast is extremely attracted to traveling the world and learning more about different cultures. He seeks to scale mountains, walk through great ice glaciers and sail through the ocean as he is inspired by surfers, climbers, extreme sportsmen and nature itself. "In the midst of all the craziness of wanting to wingsuit fly , surf in the freezing waves of Norway and to sail using Ancient Native Polynesian navigation techniques (using stars, current and other natural factors) through the Pacific ocean from Canada to Tasmania, I am probably a nature conservationist in the making." Ben began his internship in September after graduating from the University of Central Lancashire in outdoor leadership in the summer. His decided to take this internship to put the knowledge he had learnt at university into practice in a different country. Since being here he has been heavily involved in the facilitation of programs and the design stages before a program runs. He also updated some of the resources HOB use to train staff by creating a facilitator handbook with different theories and techniques on facilitation that can be used in the field. 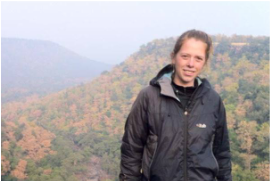 Ann is a lover of the water and has spent the majority of her time in India at the Shivpuri base camp taking part in rafting expeditions, stretching multiple day expeditions to half day trips. She has also facilitated some of the trekking expeditions we offer. Ann's thoughts "I choose to undertake this internship to broaden my outdoor educational experiences after completing my degree. Undertaking this internship gives me the opportunity to work internationally in new and challenging environments, to expand my skills and apply theory into practice." Katie took this internship after graduating in 2012 wanting to expand her knowledge in both facilitation and more keenly office work, to learn how an organisation operates. 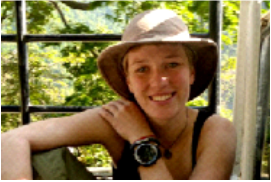 Since being here she has updated our marketing options, planned and organised programs as well as facilitating them, enjoying the trekking expeditions more being able to explore new areas of India. Emily took a sandwich year from her degree in Outdoor Leadership to join the HOB team. Her main focus whilst here was the importance reflective practice has in learning, researching its different forms and how to make it more accessible to children. Research she is using to complete her degree and dissertation back in England. 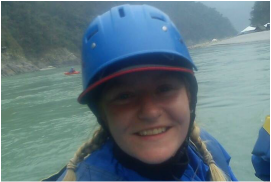 Emily's thoughts "Interning for Himalayan Outward Bound was the kick start to my outdoor career. Accelerating both my professional and personal ability thanks to the fast paced dynamic working environment, it supported my development and gave me the perfect foundations for my future."